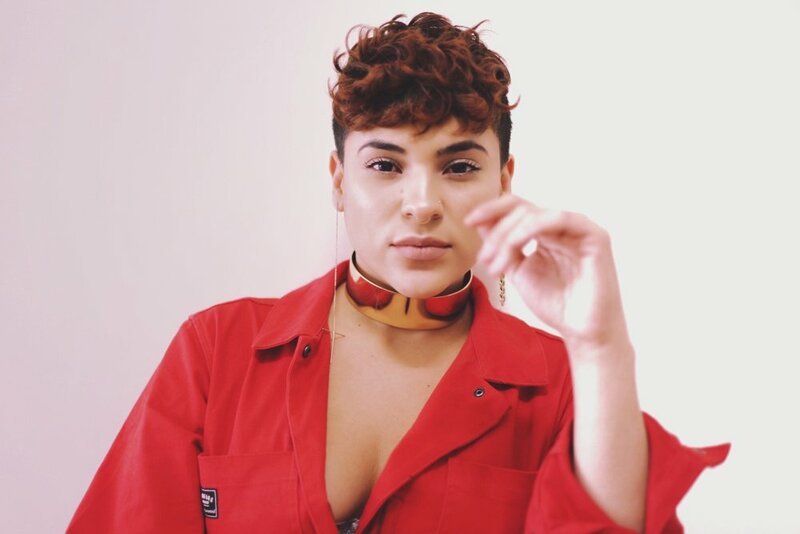 Originally hailing from the Bay Area, Sonic is an innovative and formidable vocalist and creative artisan currently residing in New York City. Sonic’s soulfully versatile and dynamic sound is uniquely amplified by the fact that she is completely deaf in one ear. The name “Sonic”, represents her distinctive ability to break barriers and transcend the limitations of her abilities through the gift and expression of song. In 2015, Sonic secured a spot on The Voice Season 8, singing her way to the Top 20. Later that summer, she dropped her multifaceted mixtape WAV, and last year, she released the empowering anthem, “I Can Be Lonely”. In 2018, Sonic formed Womxyn Amplify Vibrations (W.A.V), a team dedicated to amplifying the voices of queer and trans womxn of color artists. Together, they successfully launched the Airbnb concert Sisters Unsigned: An Intimate Concert by Womxn. As co-host & headliner, Sonic ensures that her songs speak to her truth as a queer woman of color in the world. She is currently in the studio, working on her much anticipated, self-titled EP. Her 1st single off the project, “Airplane Mode”, is available on all streaming platforms.